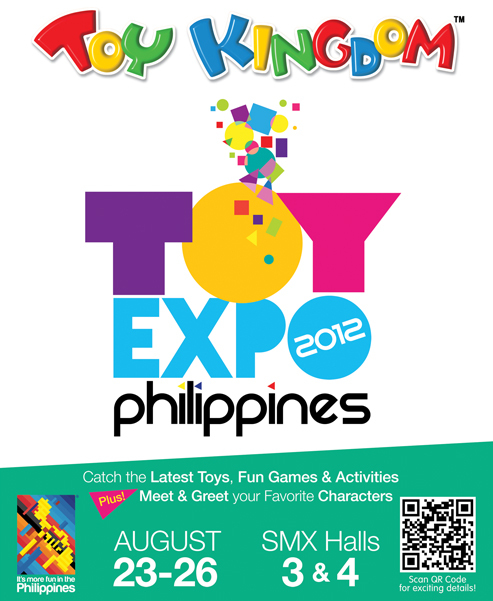 Catch the latest toys, fun games, exciting activities and meet & greet your favorite characters at the biggest toy event in the country, Toy Kingdom Toy Expo Philippines 2012, August 23 to 26 at SMX Convention Center, Halls 3 & 4, Mall Of Asia Complex, Pasay City. Admission is free. See you there! How many years has the Philippine Toy Expo been going on for? Is Toy Kingdom owned by Toys R Us?